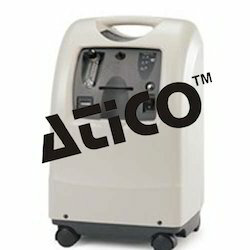 Providing you the best range of oxygen therapy system and oxygen concentrator (5ltr/10ltr) sequal usa with effective & timely delivery. 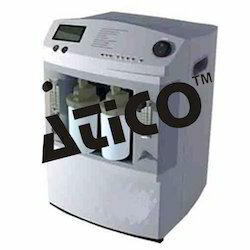 Oxygen Concentrator Utilizing the latest PSA technology pressure swing adsorption technology which is NASA derived technology that utilizes unique molecular sieves to separate air into eight constituent part of Nitrogen, Oxygen and trace gases. The Longfei Oxygen Concentrator redirects the Oxygen for use out the front, while it ejects the Nitrogen and trace gases back into the atmosphere. The PSA system was developed as an alternative to the cryogenic separation of gases whose purity of oxygen accords with the medical standard. No other raw material are needed except air low consumption of power and low cost of Oxygen production. All gas circuit is controlled by low pressure system, which operates securely and reliably. Adjustable flow rate making oxygen while supply continuously switch on or off at any time. Convenient operation excellent performance low noise. Patented ATF® module (advanced Technology Fractionator) eliminates more than 200 troublesome parts found in conventional oxygen concentrator ! One mechanically integrated module, with a signal moving part made of space-age composites. Looking for Oxygen Therapy System ?